Love it or loathe it, opinion is often divided, but we love Scottish black pudding, though don't like to think too hard about the ingredients! It was originally made to use up all the leftovers after the slaughter of a pig by frugal Scots. It is typically made up of a mixture of pig's blood, pork fat, barley and oatmeal and many butchers vary their spices to make their individual tastes. These ingredients soak up and bind the blood. Other countries use different ingredients such as potatoes, onions or rice. It is often nicknamed blood sausage. It can be hard to access pig's blood so we advocate buying Scottish Black Pudding. During the making process it is cooked, so can be eaten as it is, but we recommend slicing and frying gently for a minute or two on each side. It can also be boiled, roasted or grilled. It is typically served at breakfast as a fry up along with bacon, sausage, beans, fried egg, fried bread, potato scones and mushrooms. 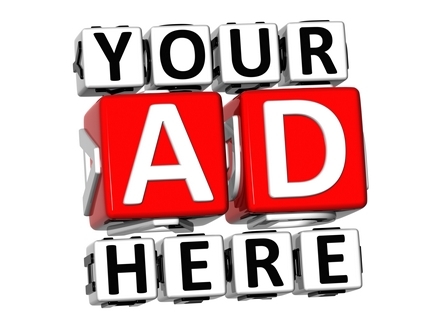 In this recent economic climate butchers are seeing a rise in sales due to the cheap prices and its filling nature. Some are sold with the casing still wrapped around and care needs to be taken to remove this before serving. 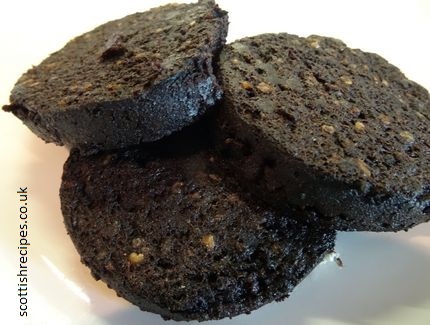 The Stornoway black pudding has been granted Protected Geographical Indicator of Origin status. This tastes far less fatty than others and gives a smooth texture when eaten, as does the Nick Nairn one. Its Gaelic translation is Marag-Dhubh.